A series of earthquakes struck the South Iceland volcano of Katla last night – two of them well over magnitude 4 in strength. 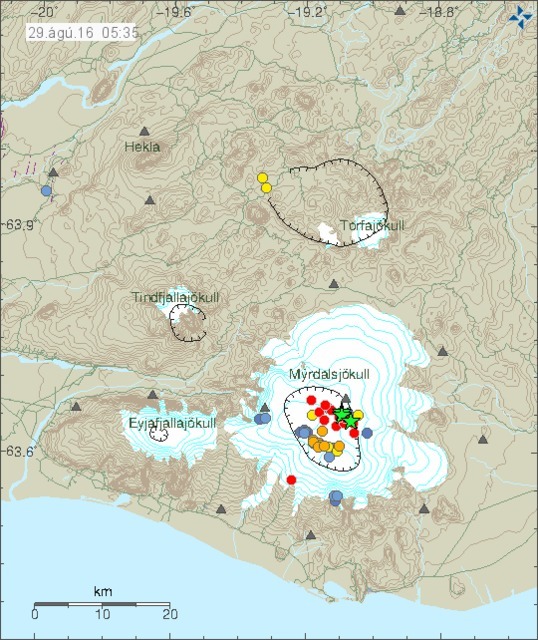 Katla lies under the Mýrdalsjökull glacier in South Iceland, and the strongest tremors from last night – magnitude 4.5 and 4.6 – are the biggest on modern record. Seismic activity began around 00:30 am last night and the two biggest quakes struck at 01:41 and 01:47. 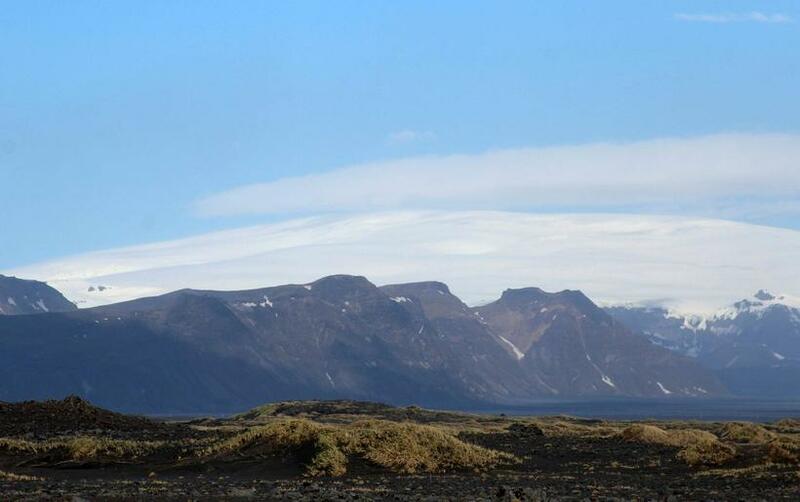 Gunnar B. Guðmundsson, geophysicist at the Icelandic Met Office, says that there has been significant rumblings in the area recently and that this was an “intense” series of tremors. The IMO have issued a statement say that they are carefully monitoring the situation. Katla last erupted in 1918, and in the preceding 400 years major eruptions occurred on average every 47 years. It has now been 98 years since a large-scale eruption. The 1918 eruption lasted 24 days and caused major glacier river floods.